The Australian Chamber supports the reduction of red tape and the streamlining of services. However, this cannot come at the cost of reducing the integrity of the system or its ability to meet the needs of business and the broader community. 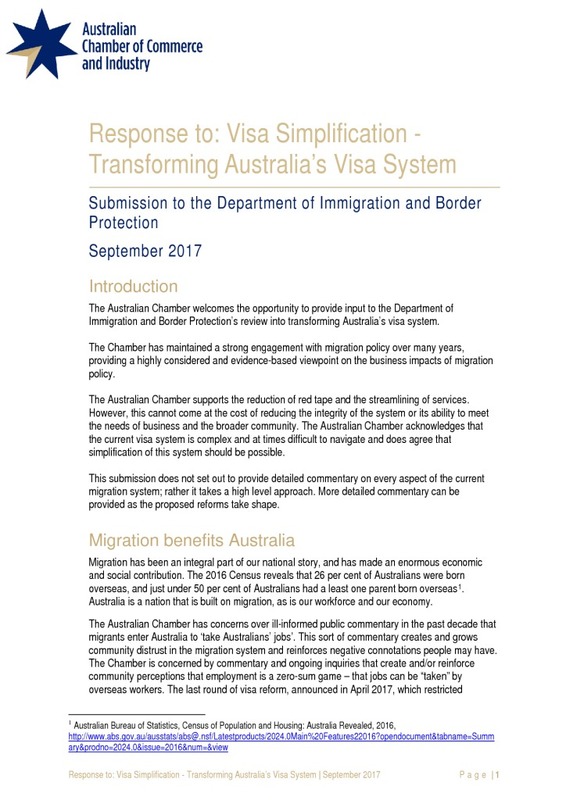 The Australian Chamber acknowledges that the current visa system is complex and at times difficult to navigate and does agree that simplification of this system should be possible.